There are certain movies that MUST be seen during the holidays. I’m not going to give you a ‘list-icle” of the top 10 best Christmas movies because there are enough of those out there. No, I’m going to share a couple printables based on a couple of our favorite movies – that we can only watch after the kid is in bed. Intrigued? 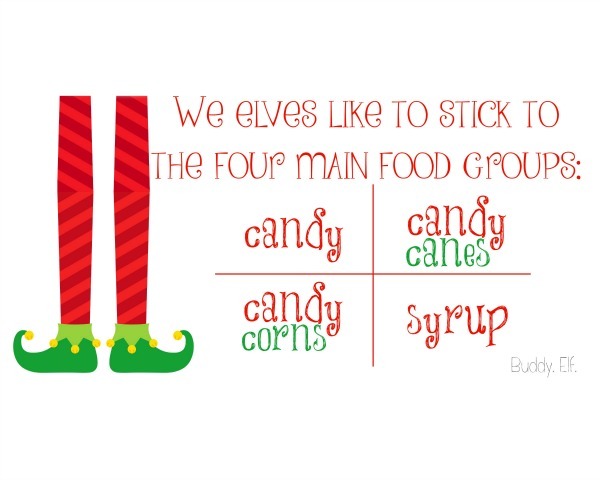 Click through to get a holiday laugh! If you ask my husband one thing that we should do before the holiday season is over, it wouldn’t be ice skating, sipping hot cocoa by a fire, or any of the more nostalgic (and socially acceptable) bits of parenting suggestions. Oh no, friends. So this printable is for him. 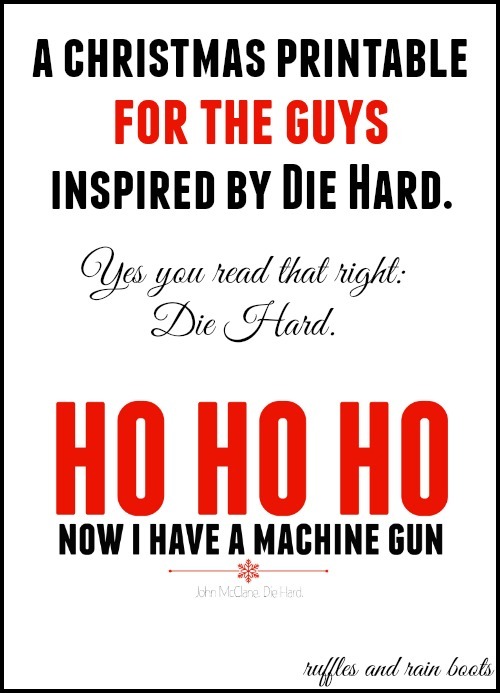 Should you happen to enjoy it, too, just click here for this Die Hard Christmas movie printable or on the picture for the download. Whether or not you think Die Hard is a holiday movie, how about one more holiday-themed? 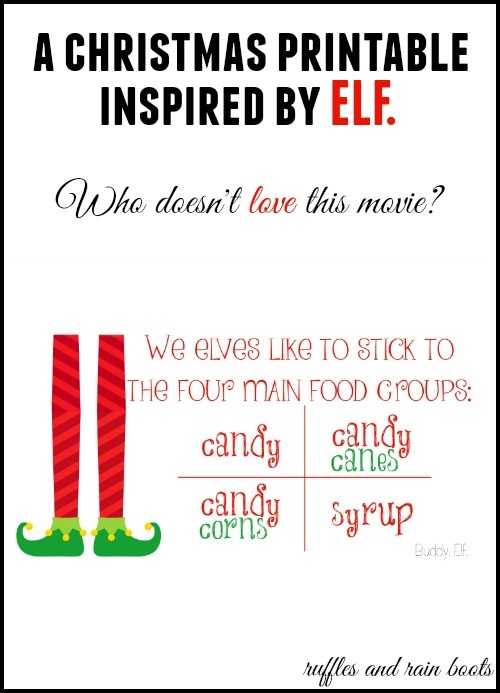 Another one my husband will suggest we watch is Elf. Who doesn’t smile when you picture Will Ferrell dressed as Buddy the Elf? I came across this picture and had to share it with you because even though we don’t do the Elf on a Shelf, I know a lot of you have started the tradition. 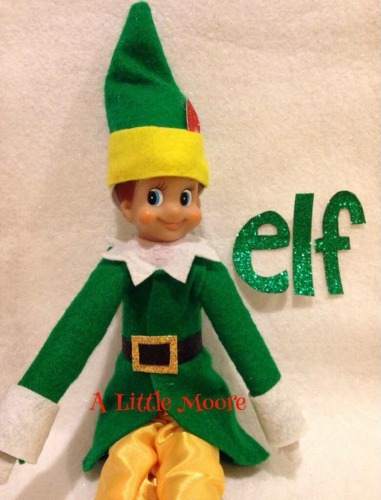 From Steph at A Little Moore Blog, I give you the “Buddy the Elf” outfit for your Elf on the Shelf (click on the image or link for the source of the photo). How stinkin’ adorable is this? Steph actually has made a business of making tiny outfits for the little elves. Check out her blog for ideas / orders. 1. The best way to spread Christmas cheer is singing loud for all to hear. 2. I just like to smile. Smiling’s my favorite. 3. I passed through the seven levels of the Candy Cane forest, through the sea of swirly twirly gum drops, and then I walked through the Lincoln Tunnel. I hope you’re having a wonderful week, and the happiest of holiday seasons. 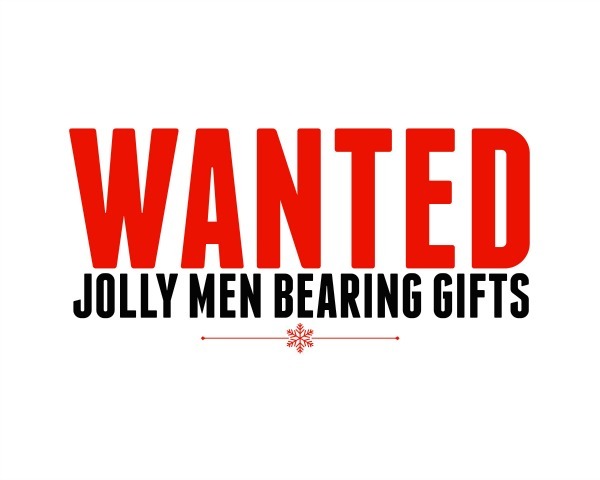 Next week, I hope to present you with some last-minute-but-seriously-awesome gift ideas. See you then! Oh my gosh my husband just had me watch Die Hard last night!! There are holiday traditions and then there are holiday traditions, he would say! I think this is probably sad to admit, but I have never watched ELF all of the way through. I have watched most of it, but never sat down and watched it all from beginning to end! See? Die Hard = holiday movie for guys. Weird, but fitting, I think. :) I had to warm up to Elf, to be honest. It took me watching it a second time to really appreciate the humor, but once I caught it I was hooked. 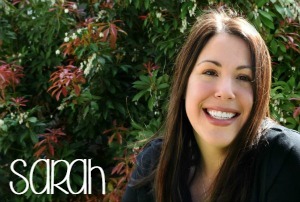 Awesome shares Sarah! 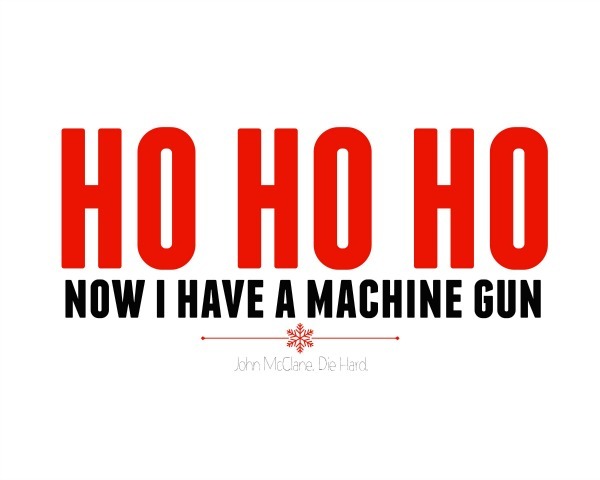 LOVE the Die Hard one LOL – totally a guy printable. I once got into a debate with the hubby that Die Hard is NOT a Christmas movie… but he won. It is.